Springtime is a great time to see a new movie. In theaters, you can opt to see Five Feet Apart starting March 15, 2019. This is a sponsored post written by me on behalf of Review Wire Media for Lionsgate. Check out this trailer to get a better feel for the movie. 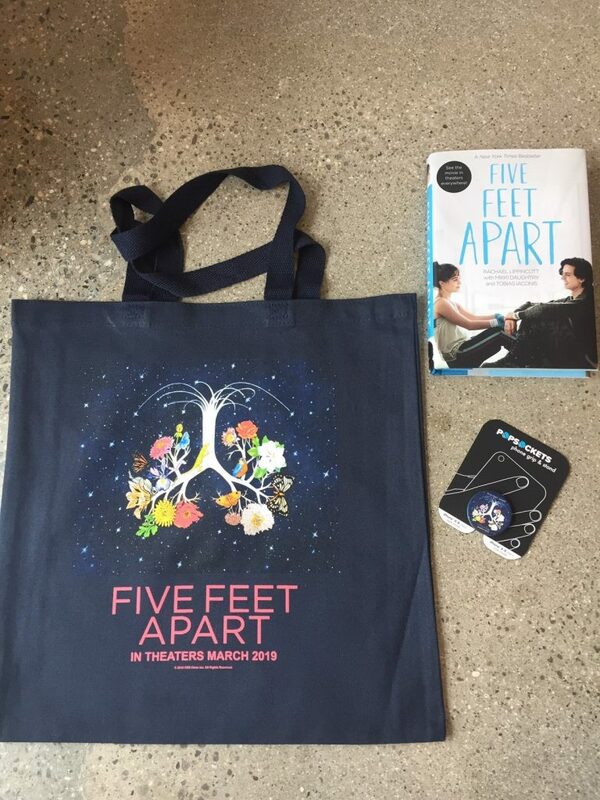 To celebrate the launch of Five Feet Apart in theaters, we are hosting a giveaway for one lucky reader. You must have a mailing address in the 48 contiguous states (sorry Alaska and Hawaii) to be eligible. If you have won the same prize on another blog, you will not be eligible to win it again. Entries are through the Gleam form below. The winner will have 24 hours to claim their prize when notified by email. That sounds like my house! Although, sometimes my 15 year old will watch a film based on a YA novel. I saw this movie on Friday and it lived up to all my hype! I do enjoy young adult stories, as they bring up so many complicated emotions. I took my best friend, my Mom to the movie. This movie looks entertaining! I want to see it with my daughter.